Many of the processes involved into the synthesis of human motion have much in common with problems found in robotics research. 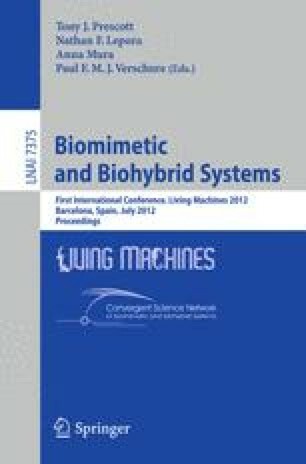 This paper describes the modeling and the simulation of a novel bipedal robot based on Series Elastic Actuators (SEAs) . The robot model takes inspiration from the human musculoskeletal organization. The geometrical organization of the robot artificial muscles is based on the organization of human muscles. In this paper we study how the robot active and passive elastic actuation structures develop force during selected motor tasks. We then compare the robot dynamics to that of the human during the same motor tasks. The motivation behind this study is to translate the mechanisms underlying the human musculoskeletal dynamics to the robot design stage for the purpose of developing machines with better motor abilities and energy saving performances.